It makes me proud to be a member of Spread Firefox team today. Firefox has crossed the 1 billion downloads hallmark which includes every release. The browser was the first big challenge to Internet Explorerâ€™s rein as the most dominant browser and after about 7 years of struggle has managed to gain around 30% of the market share. 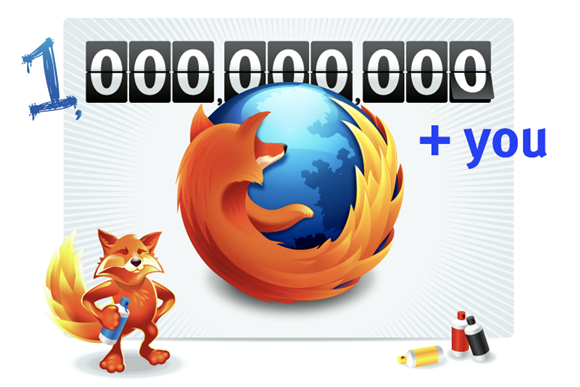 And to celebrate things, Mozilla has setup onebillionplusyou.com. Ran 19 queries in 0.153 seconds.